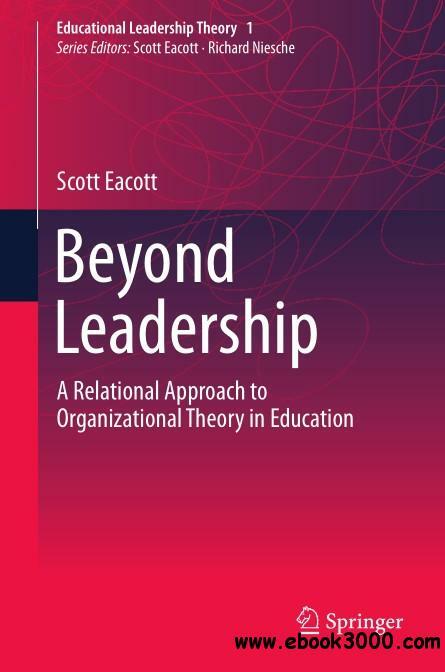 This book systematically elaborates Scott Eacott's "relational" approach to organizational theory in education. Contributing to the relational trend in the social sciences, it first surveys relational scholarship across disciplines before providing a nuanced articulation of the relational research program and key concepts such as organizing activity, auctors, and spatio-temporal conditions. Eacott's relational approach provides a distinctive, post-Bourdieusian variant of the relational sociological project. Shifting the focus of inquiry from entities (e.g., leaders, organizations) to organizing activity and recognizing how auctors generate - simultaneously emerging from and constitutive of - spatio-temporal conditions unsettles the orthodoxy of organizational theory in educational administration and leadership. By presenting its claims in the context of other approaches, the book stimulates intellectual debate among both relational sociologists and opponents of relational approaches.